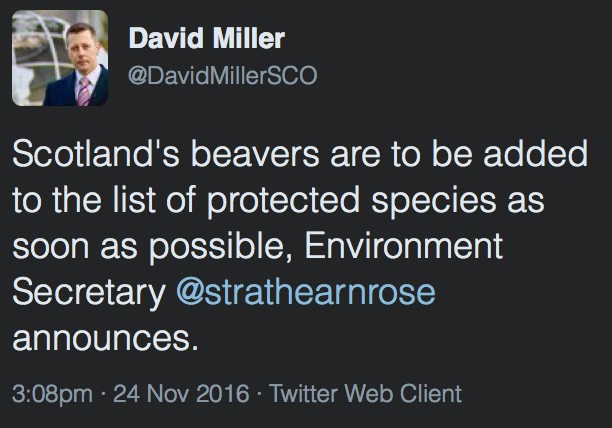 David Miller is the Special Advisor to the Scottish Government on the Environment so I guess it must be true! 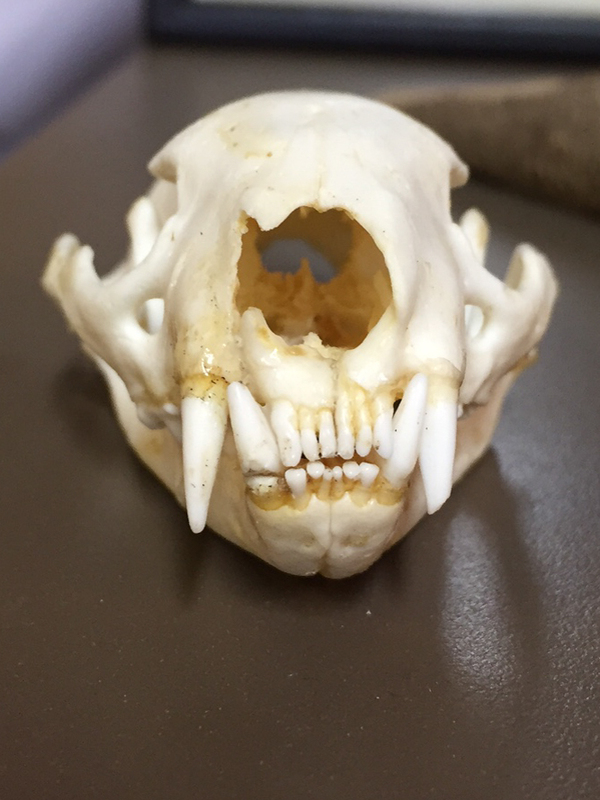 As a result of persecution, the European beaver went extinct in Britain around 300 years ago. As a result of their persecution and extinction I call such species ‘ghosts in the landscape‘. In 2009 a small trial re-introduction programme was undertaken in Argyll. The population has expanded from the original 3 family groups. There have been calls from some landowners to eradicate the beavers as there were concerns of the damage they might cause. Today however the Scottish Government has announced that the European Beaver will become a protected species and therefore will be allowed to spread and will not be eradicated. The full story can be read here. 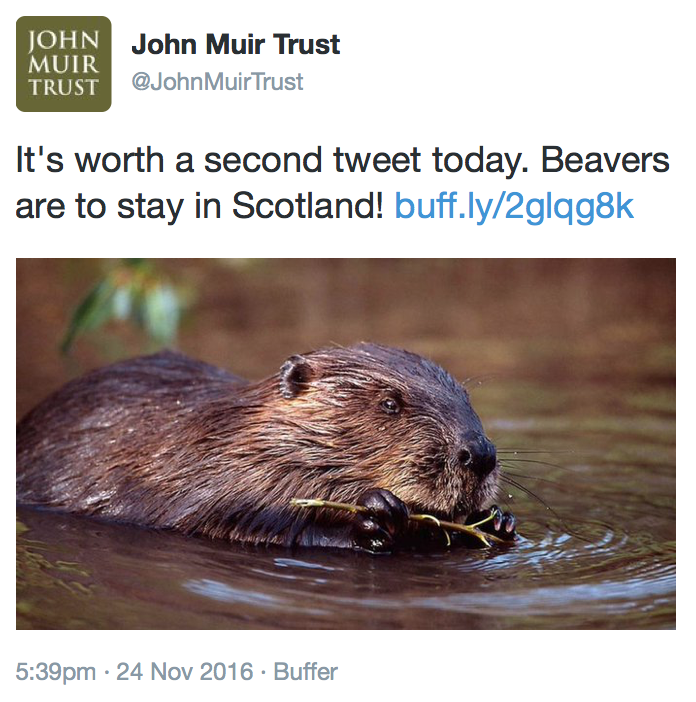 The John Muir Trust were obviously delighted with the news. European beavers are often described as a ‘keystone’ species i.e. one that manipulates the habitat it lives in and as a result creates new and varied habitats for other species as well as providing important ‘ecosystem services’ for people as a by product. 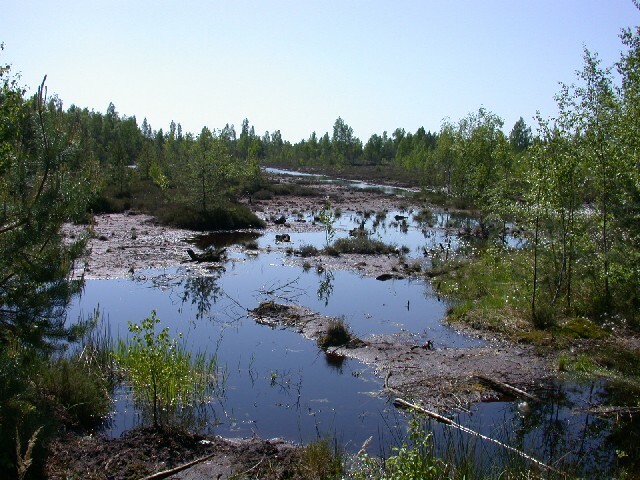 This is an area where European beavers have been active in Latvia in Eastern Europe (I took this photo in the early 2000s when I visited the area) – it is clear that lots of interesting wetland habitats have been created and that the area also acts a flood storage reservoir in times of high water levels. European beavers have also been re-introduced in Devon in a fenced enclosure, and this population has been the subject of considerable conservation work by the Devon Wildlife Trust and has been intensively studied by a team of scientists from Exeter University. 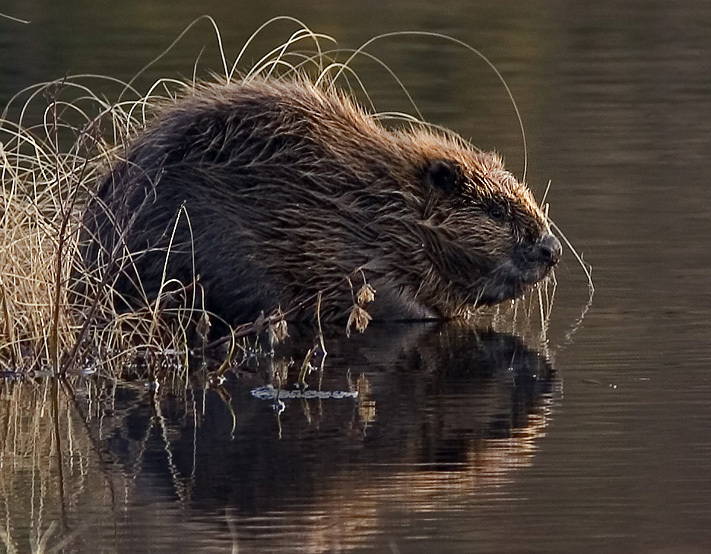 That research team led by Professor Richard Brazier has just published a paper entitled ‘Eurasian beaver activity increases water storage, attenuates flow and mitigates diffuse pollution from intensively-managed grasslands‘ You can download and read the full paper here. Beaver activity has resulted in major changes to ecosystem structure at the site. Beaver activity increased water storage within site and attenuated flow. Dissolved organic carbon levels rose (but it is not known if this is problematic as flow rates are significantly lower – my italics). Important implications for nature based solutions to catchment management issues. In light of all the current discussions around ‘natural flood management’ solutions (such as those at Holnicote – see here) it is thought that beavers in certain locations may play a useful role in reducing flooding by ‘slowing the flow’. In addition there is another unofficially re-introduced population of European beaver in Devon on the River Otter which the Government has allowed to stay for the next 5 years to determine their impact on the environment and local people. The Devon Wildlife Trust are campaigning to keep this population, so that this ‘ghost in the landscape’ can remain and flourish and also play an important part in reducing flood risk on adjacent land and villages. The question, of course is what will happen now in England? My own view is that I believe that European beavers should be allowed to recolonise England and in so doing will play a useful role in providing new habitats for wildlife whilst also playing a vital role in reducing flood risk. I very much doubt they will cause landowners and farmers any problems. 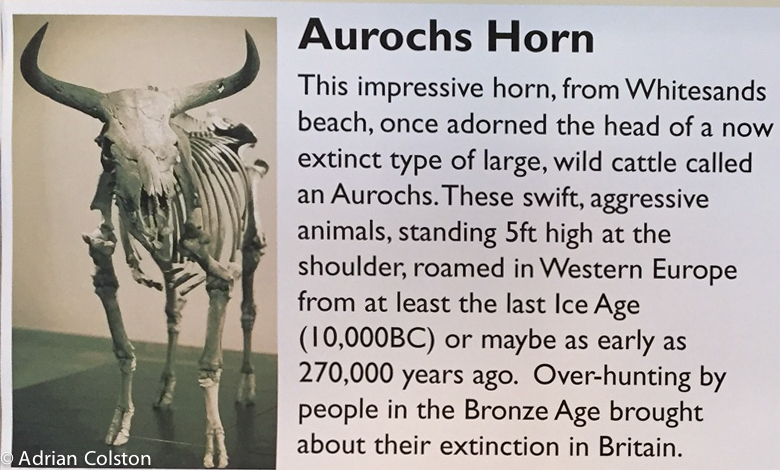 The Visitor Centre in St David’s in Pembrokeshire had a small display about an aurochs horn that was found on the exposed beach of Whitesands Bay during the winter storms of 2014. Aurochs are now globally extinct but formerly they were the wild ox of Europe. See here for the BBC report of the find. Aurochs were large aggressive cattle and were hunted by Neolithic and Bronze Age people. By the end of the Bronze Age they were very rare and it is thought that they went extinct in Britain during Roman times. 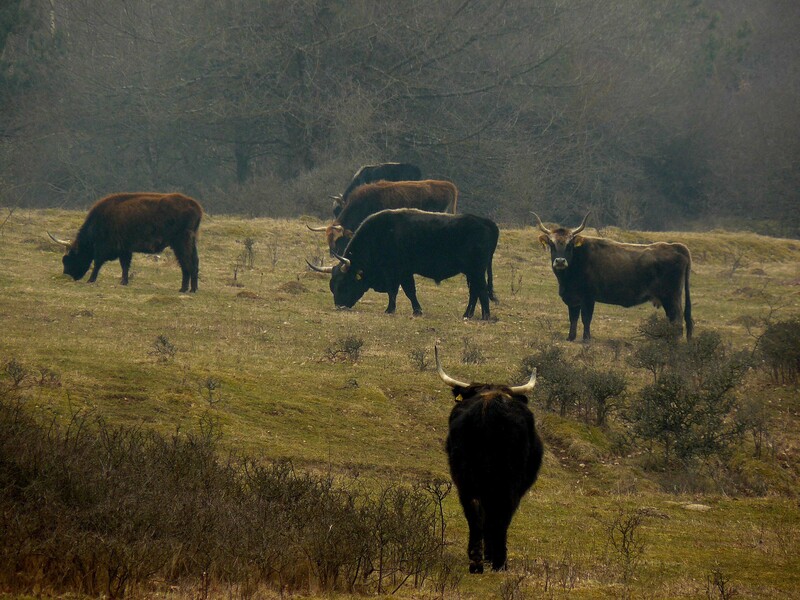 Julius Caesar saw aurochs in France and wrote about them in De Bello Gallico. “These are a little below the elephant in size, and of the appearance, colour, and shape of a bull. Their strength and speed are extraordinary; they spare neither man nor wild beast which they have espied. The last auroch went extinct in 1627 in Poland. For more on aurochs – see here. Attempts have been made to ‘re-create’ auroch via selective breeding. During World War 2 the Nazis began a breeding programme to produce auroch so that they could be hunted. 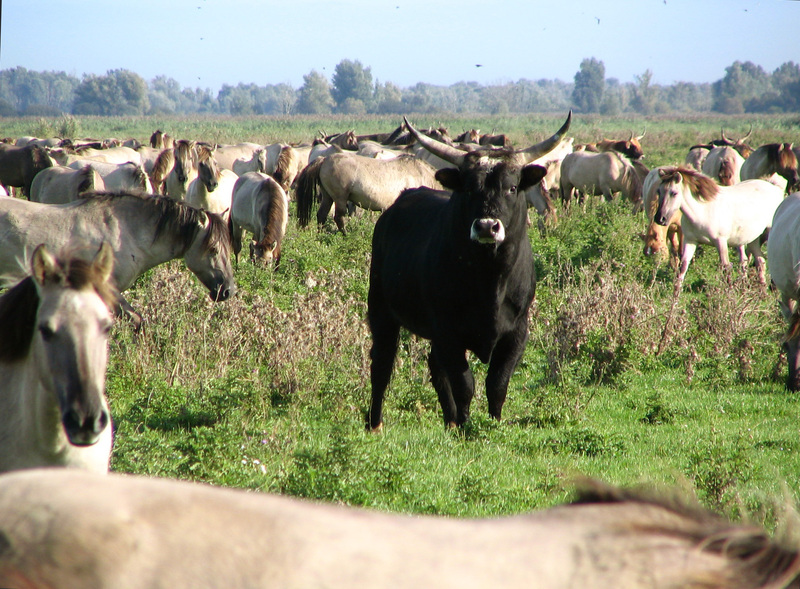 The programme was led by the Heck brothers and they produced the Heck Cattle which survive today and are used in a number of re-wilding projects across Europe. The Heck Cattle project was not that soundly conceived as the animals used for the back breeding were not well chosen. A new attempt is now being made to re-create the aurochs – it is called the Tauros Programme – see more details here. The herd of Chillingham Wild Cattle in Northumberland are said to be a very close descendent of the aurochs – see here and here for more details. The Vincent Wildlife Trust yesterday produced a report which showed how the polecat has naturally spread from its former 19th century stronghold in Wales back into much of England and parts of Scotland. Formerly the animal which is related to weasels, stoats and pine martins was a common animal across the UK but persecution by Victorian gamekeepers meant that they were eradicated from all of the country except for an enclave in rural mid Wales. You can read more about the polecat work of the Vincent Wildlife Trust here. I have written about polecats on Dartmoor and in Devon before – see here and here. At the time there was some uncertainty whether they were polecats for feral polecat ferrets. The map for polecat distribution from 2000 did not show them living in Devon. I have coined the expression ‘ghosts in the landscape’ – species now extinct in the countryside only now present in our memories. The polecat was a ghost in the landscape but is now back. Its great to hear of a positive conservation story and it is interesting that the polecats returned under their own steam – they were not re-introduced. So what other ‘ghosts in the landscape’ are there in Devon? There are lots but here are a couple of examples – pine marten and red squirrel. The pine martin is making a bit of a comeback in certain parts of the country and is being re-introduced into Wales. 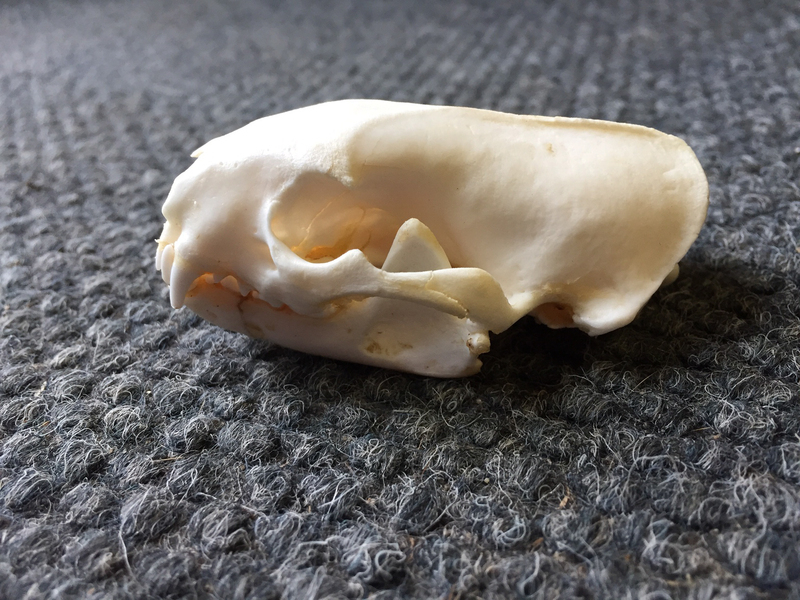 Maybe in due course the pine marten will return to Devon (it went extinct in the late 1800s, again as a result of Victorian gamekeepers). If it does return it might offer the prospect of the return of the red squirrel (which died out in the 1950s). Pine martens are very good predators of grey squirrels – the species that ousted the reds. The Vincent Wildlife Trust is an excellent mammal conservation charity and was set up by Vincent Weir who was in the shipping business. He was a millionaire and supported many conservation causes throughout this life. He sadly died in 2014. I was fortunate to meet him in the mid 1980s when I was Director of Northamptonshire Wildlife Trust. I met him in his City offices and he was kind enough to donate some money to the Trust so that we could carry out a substantial management review which saved the day as at that time we were finding the going tough! He was a quiet but generous man who later in his life focused his efforts into the Vincent Wildlife Trust which has subsequently done so much great work on pine martins, polecats, otters and bats. 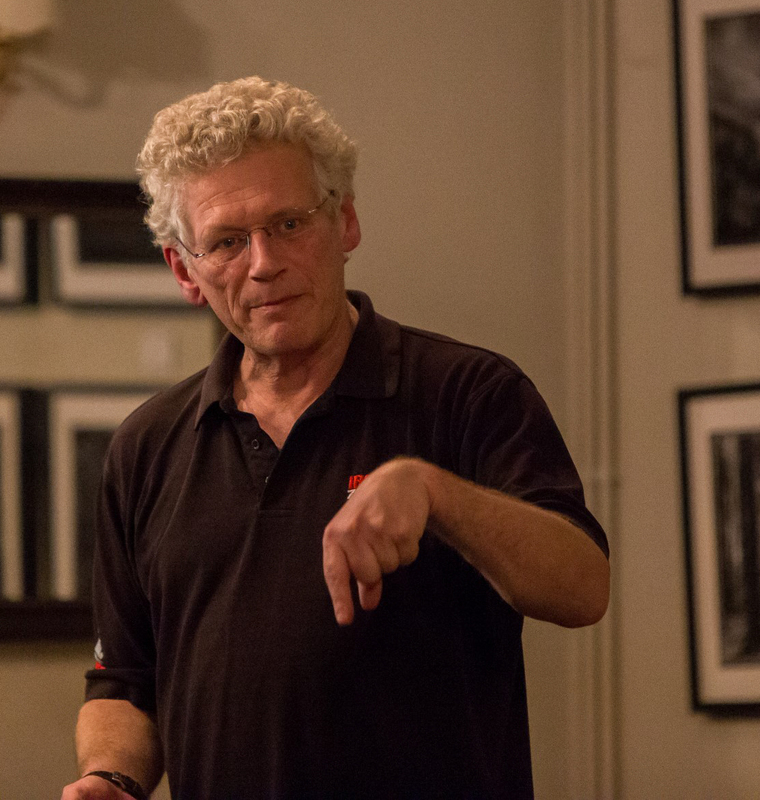 There is a lovely tribute to Vincent Weir on the website of the VWT – see here. On the back foot and embarrassed? Upland farmers are no longer alone. George Monbiot has now turned his attention to conservationists and environmentalists in his rewilding talks. I wrote yesterday on his recent talk at the University of Exeter where he scolded National Park Authorities, the National Trust, Wildlife Trusts and the RSPB for managing the uplands as over grazed and burnt landscapes when they could instead be Britain’s restored rain forests. For me personally it was pretty uncomfortable listening. When you hear George speak his logic and arguments raise your spirits and I guess most people in the audience end up agreeing with his proposition in principle. As high level strategy it is convincing – surely there must be places where such an approach could be adopted? Yet when you burrow down into the detail, starting thinking about places and practicalities it all becomes very, very complicated. The interesting question for me, now, is to try and answer how mainstream conservation has ended up in a place which is at such odds with the thinking of George Monbiot and come up with a way forwards. In his talk George talked about ‘shifting baseline syndrome’ – which suggests that we can only ‘frame’ our vision for the future by comparing what things were like a couple of generations ago. By doing that we forget what things were like centuries and indeed millennia ago. In this respect nature conservation strategy and thinking is guilty. But there is a massive reason for this for that which has been omitted from the debate. The place where nature conservation finds itself today has been hard fought for. The prospects for nature in the UK changed dramatically after the First World War for woodlands and forests and for the rest of the countryside after the Second World War. This is a long and complex story which I’m not going to attempt to tell. If you are interested, Peter Marren’s Nature Conservation is a great account of it up to 2001, whilst the story of Dartmoor is well told by Matthew Kelly in Quartz and Feldspar. The legendary battles on Exmoor are set out in fine detail by Ann and Malcolm MacEwen in National Parks: conservation or cosmetics? The point I am trying to make is that following the two World Wars there was a massive drive in Britain to intensify agriculture and forestry which had a huge toll on wildlife and habitats and indeed still does. The legislation we now have such as The National Parks and Access to the Countryside Act 1949, The Wildlife and Countryside Act 1981 (WCA 1981), the Habitats Directive and many others took a massive effort, often against the odds, to achieve. It was a battle to try and conserve important places that still survived before they were cut down, replanted with conifers or ploughed up. 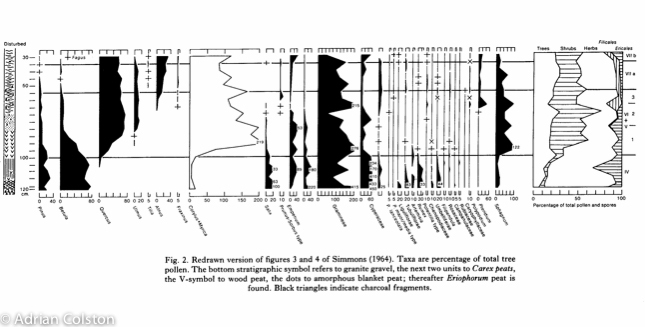 Conservation tried to save an early 20th century suite of habitats and species – the ‘framing’ that George discusses. With the legislation came a responsibility to scientifically pick the best places and species so that they could be conserved. Derek Ratcliffe (one of the conservation greats) and his team at the Nature Conservancy Council in 1977 produced the epic 2 volume ‘A Nature Conservation Review: the selection of Biological Sites of National Importance to Nature Conservation in Britain‘. This review identified the sites to be protected and set out the criteria used to make the choices. 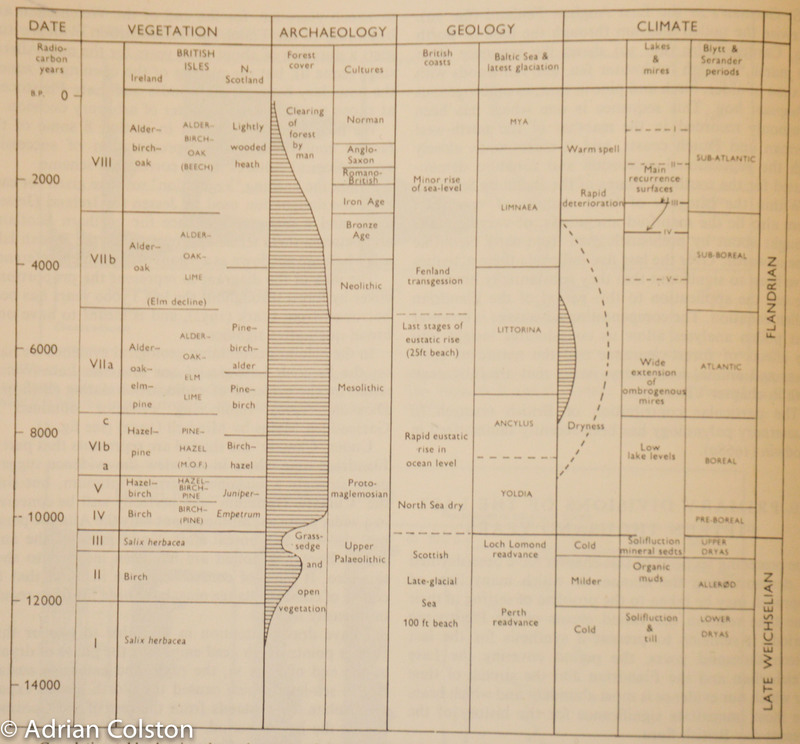 The WCA 1981 was introduced and the sites were designated (or redesignated) as Sites of Special Scientific Interest. The plan was in place to protect what was important and still survived – implementing the plan and ensuring that the sites were then managed for the benefit of the habitats and species has been an ongoing project for the conservation community ever since. This task has not been easy. As my blog from last December shows, that work is not yet complete. The story is the same across much of upland Britain. I think it is also important to remember that when the uplands are in good nick they can be fantastic places for wildlife. It is when they are over grazed and burnt that they become monotonous. Previous practices have removed some of the iconic species – on Dartmoor for example there used to be populations of black grouse, hen harriers, golden plover and strong populations of curlew, snipe and ring ouzel. The prize for the future is to help these species return – when talking about the uplands we mustn’t forget these ‘ghosts in the landscape’. Creating new habitats has had a chequered history in the story of conservation in the 20th century. For a long time it was seen as a mechanism to offset damaging developments – you grant us permission to build houses here and we will create a custom-built nature reserve over there. Whilst that undoubtedly still happens the conservation movement has moved on. I like to reflect on my time in Northamptonshire where The Northamptonshire Wildlife and the Nene Valley Project campaigned against the loss of wet meadows of conservation value to gravel extraction – we largely lost. Though thanks to careful and rigorous planning conditions a great many of the created gravel pits were designed in a way to be valuable to wildlife and now 30 years on the Nene Valley has been designated as a Special Protection Area for birds – the highest of designations possible at a European level. My own work in Cambridgeshire in creating the Great Fen Project and the Wicken Fen Vision are habitat creation schemes closely aligned to the rewilding model – both have their roots in the pioneering work of Frans Vera at Oostvaardersplassen in the Netherlands and show that conservationists now realise the importance of creating new places for wildlife and people. However I do diverge somewhat from George’s thinking when it comes to rewilding on sites that are designated as Special Areas of Conservation (SAC) for their moorland/upland habitats and are (as in the case of much of Dartmoor) of European importance for their historic / archaeological landscapes and treasures. The people in conservation and environmental organisations who I have worked with on Dartmoor really want to get the management right to benefit the wildlife and habitats, the historic landscape, the landscape, the people who actually carry out the management (i.e. the Commoners), access, recreation, carbon sequestration, water supply and flood prevention. We should also within this vision be able to see a wilder landscape with more trees and scrubs. Yes – it is a tall order – we have not got near that ideal yet but that is the goal and the challenge but it is very difficult! So my argument looks like I am rejecting rewilding – I am not. I think like most conservationists we would love to see the plans George Monbiot espouses come to fruition in many places. It is a breath of fresh air to the debate, massively exciting and it gives us hope. The challenge is to work out where and how. Trying to implement such schemes on land designated under the Habitats Directive as SACs could cause division and would lead to possible legal action in the European Courts. The ‘conservationists’ (including Nature England/DEFRA) need to sort out the SACs and be held to accountable for that and we need to see the ‘ghosts in the landscape’ return. At the same time we need to work with George and Rewilding Britain to find places where we can rewild Britain. A couple of weeks ago I wrote about polecats around East Dartmoor – see here. Since then my colleague Mick Jones, the Lead Ranger for North Dartmoor told me that he had seen a couple of dead polecats on the A38 near Ashburton and collected the corpse of one of them. He has subsequently skinned the animal and prepared the skull as a specimen. It is of course sad to hear that polecats are being run over on our roads but it is an indication of how many of them there now are in the county. Lets hope they continue to flourish and expand in their range. I have also subsequently heard from an old friend of mine from SE Devon that polecats are frequent roadkills also in East Devon and West Dorset. 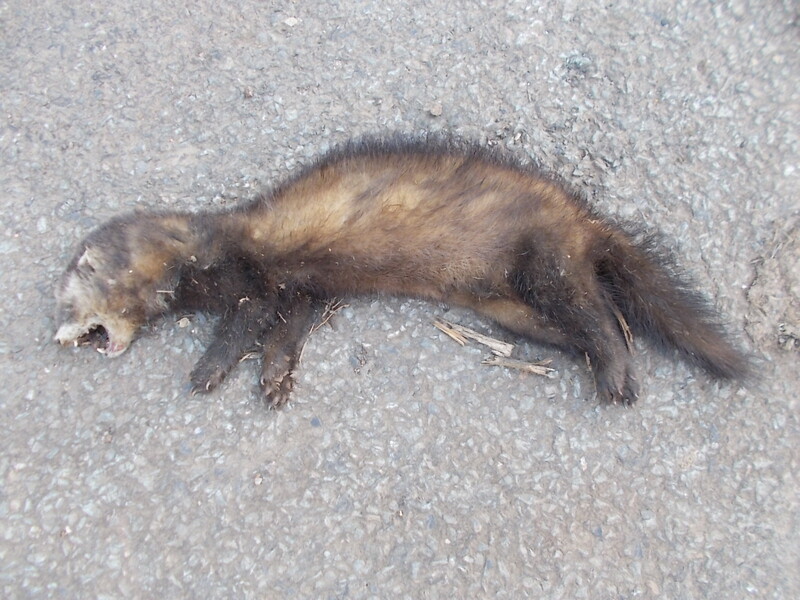 My colleague Dave Rickwood from the Woodland Trust recently sent me this picture of what he thought was a roadkill polecat and asked my opinion. I thought it was a polecat ferret opposed to a ‘proper’ polecat. He also consulted the Vincent Wildlife Trust for a second opinion (I suspect on reflection that I was the second opinion!) as they are carrying out a national polecat project. Polecats are a native mammal and a member of the mustelid family which also includes weasels, stoats, pine martens, otters and badgers. They were exterminated in the 19th century by Victorian gamekeepers but a small population survived in Wales (in the same place that the red kite held on). 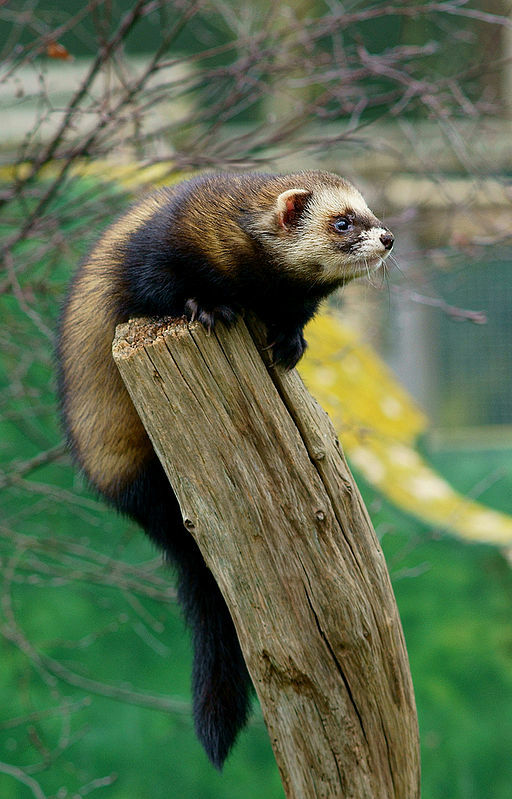 It is thought that the polecat in Devon went extinct between 1880 and 1915. In recent decades they have begun to recover and have started to re-colonise England. I remember in the 1990s that the first polecat for a century was found in Northamptonshire where I was then working. Polecats are specialist rabbit hunters. The Vincent Wildlife Trust have replied to Dave and have confirmed that it is indeed a polecat! Very exciting. The VWT weren’t overly excited so I think they must have other records from Devon in addition to this one. 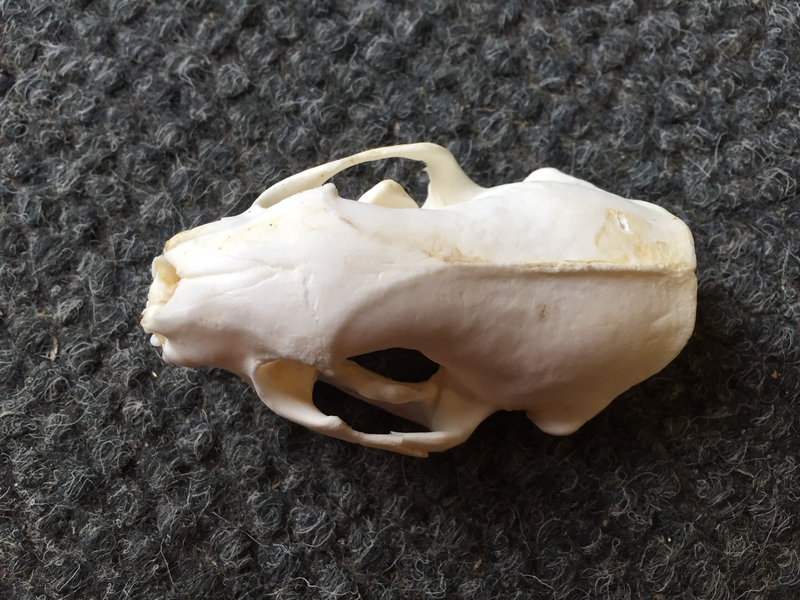 Dave found another ‘polecat’ 2 months earlier about 1km south of Cheriton Cross SX 781923 near to Haylake. So keep your eyes open for live animals or roadkills. If you find what looks like a roadkill polecat take photos and ideally put it in your freezer and then send it to the Vincent Wildlife Trust. For more information on polecats see here and for more information on the VWT’s polecat survey see here. Always a good day when an extinct animal returns to Devon!